Four months prior to the October 2007 election in Ontario, two polls by Ipsos-Reid and Environics indicated a neck-and-neck race between the Liberals and the Progressive Conservatives, with about 40 per cent of Ontarians intending to vote for the governing Liberals and about 38 per cent expecting to vote for John Tory's PCs. But on election night, the Liberals bumped up their support to 42 per cent while that of the Progressive Conservatives tanked to only 32 per cent. Part of that swing was attributed to Tory's disastrous campaign pledge to extend public funding to faith-based schools, a promise he had to back away from amid widespread opposition. The last polls by Forum Research and Ipsos-Reid put the PCs in the lead with about 41 per cent, well ahead of the Liberals at 30 per cent and the NDP at 21 per cent. If the same kind of change in voting intentions occurs over the summer as it did in 2007, the Liberals will have an outside chance of pulling off a victory. The situation in Manitoba, however, is far rosier for the incumbent. In March 2007, two months before the May election, the PCs and the governing New Democrats were tied at 40 per cent apiece in a Probe Research poll. But during the campaign, the NDP roared ahead to finish with 48 per cent support, outpacing the Progressive Conservatives by 10 points. The most recent poll paints a similar picture: the NDP and PCs are tied at 44 per cent, with the Liberals at only nine per cent. Premier Greg Selinger is in the same position that his predecessor, Gary Doer, was four years ago. 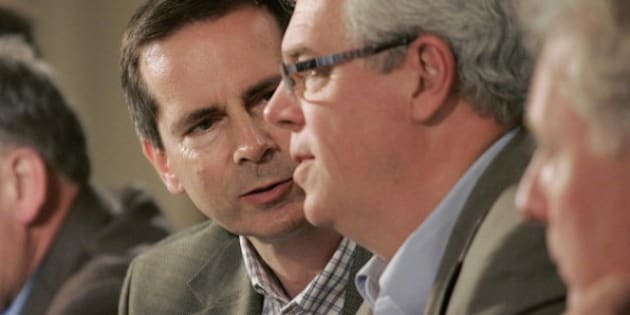 If the cards fall this year as they did then, Selinger should be able to win his first election as NDP leader. Saskatchewan, Prince Edward Island, and Newfoundland and Labrador are also having elections in the fall, but their outcomes are not in doubt. In Saskatchewan, Premier Brad Wall is expected to win in a landslide. The latest poll from the province, conducted back in November, put his Saskatchewan Party at 57 per cent support, with the NDP at 29 per cent. A poll taken in October 2006, one year before the last election, but the Saskatchewan Party ahead of the NDP by 44 per cent to 31 per cent. On election night in 2007, Wall's party took 51 per cent of the vote and the NDP 37 per cent, the provincial Liberals falling by the wayside. If a similar shift takes place this November, Wall could virtually sweep the province. In Newfoundland & Labrador, polls taken five months before the October 2007 election were little different from the results of the vote, boding well for Kathy Dunderdale's Progressive Conservatives who held a 35-point lead in the last poll in the province. In P.E.I., however, Robert Ghiz's Liberals were trailing in a poll taken three months before the May 2007 election, in which he trounced the Progressive Conservatives by 12 points. As the last poll put his party ahead of the PCs by 16 points, his re-election is a safe bet.